Presenting: The Winners of the First Annual tFS Style Awards 2013! — We're thrilled to announce the winners of the first annual tFS Style Awards (the Tiffies)! Organic by John Patrick: The Ethical Designer and Tiffies Winner Explains Why the Fashion System is Broken — John Patrick tells us about his eco-approach to design, why cause marketing doesn't work and what it would take for the fashion system to change. Art Basel 2013: The Parties, Fashion, Celebs and…Art — Art Basel has outgrown appealing to merely the top echelon of art industry bigwigs. Here's a look at some of the week's most notable moments. Handbag Connoisseur Alanis Morissette Shows Off Her (Ridiculously Amazing) Collection — The singer/songwriter and our December guest editor gives us an inside look at her extensive handbag collection. Alanis Morissette: A Letter to My 15-Year-Old Self — Here's what Alanis would say now to her teenage self. Downtown Designer Alice Roi Tells Us Why She Left Fashion — and What It’s Like to Come Back — On balancing motherhood with design: "I'm such a fashion person that I can't get it out of my head anyway, so sometimes I'll be on the swings and think, 'That rubber on the swing is really interesting. I love the color, I wonder how that would look in a raincoat.'" So Pinteresting: Impossible Silhouettes — Straightforward is looking rather boring right now. 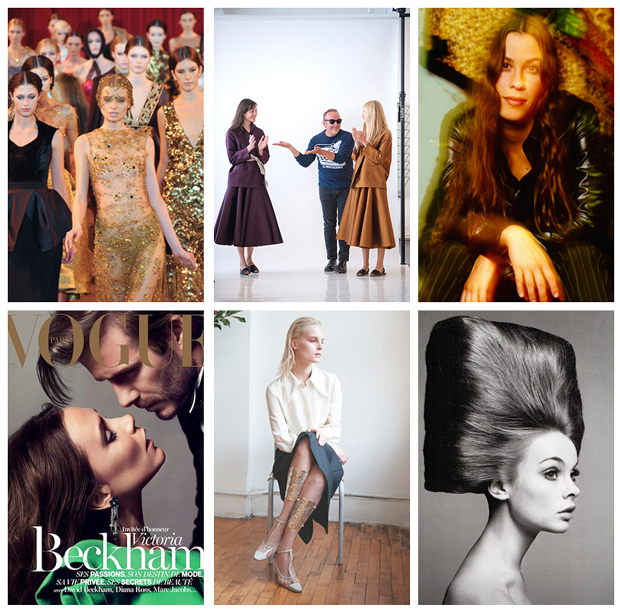 The Glossies: All the January 2014 Covers We Loved and Hated — Britney is back, Natasha Poly kills it and more standouts. 10 Knockout New Year’s Eve Party Outfits — New Year's Eve is the one night a year where no matter how dreary it is outside, you won't look out of place in something sequined, embellished, shimmery or in a look-at-me-now color. Onstage Style: The Fashions That Stole the Show from Beyonce, Rita Ora and More — This year's concert outfits almost stole the spotlight from the music.